Nintendo NX will have virtual reality, claims report - but how likely is it? Are Nintendo's insular days behind it? By the end of 2017, all of the major games consoles might be offering virtual reality - yes, even Nintendo's. According to Digitimes, which claims to have heard as much from its "upstream supply chain" sources, the Nintendo NX was pushed back into 2017 to incorporate a VR element (thanks, Nintendo Life). It also states the console will have a big portable element - something we've heard before. Digitimes is a bit hit and miss on its scoops, so I'm not buying this VR claim outright, but I think it makes a lot of sense. Had anyone made the same claim a year ago, I'd have laughed it off. For one thing it seems at odds with Nintendo's ethos. Last year Shigeru Miyamoto said he was "uneasy" about how VR would fit the spirit of the Wii U, which was about getting people in the same room playing together. It's a thread that runs through all of Nintendo's home consoles, and none demonstrated it better than the original Wii. But times change, and earlier this year Tatsumi Kimishima, who became Nintendo president after the passing of Satoru Iwata, even described VR as an "interesting technology". The Financial Times, meanwhile, reported that Nintendo was researching a "cautious return" to VR but had no immediate plans to launch anything. "Cautious return" would need to be accurate: lest we forget Nintendo's last doomed attempt to enter VR, the Virtual Boy, is now the paradigm for how not to do virtual reality. But that aside, the evidence that Nintendo might be about to dip back into VR is slowly mounting. Nintendo has a habit of blocking out the surrounding noise, a behavioral trait that has paid dividends over the years. Where Sony and Microsoft have long battled on the fronts of exclusives and sheer power, Nintendo has survived - and often thrived - by forging its own path. The Wii was less powerful than its rivals, but its unique motion controls meant it sold 50 million consoles faster than any other console in history. Its consoles have also lacked wider multimedia features like DVD or Blu-Ray playback. Online social features have either been sorely lacking or non-existent. 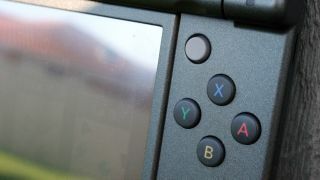 The 3DS had two screens and glasses-free 3D. Cartridges. And despite all this, Nintendo's history is largely one of success. But, again, times are changing, and digital Darwinism is forcing the company to adapt. It followed Skylanders and Disney with Amiibo, started publishing smartphone games - we'll have five by March 2017 - and is looking at making movies and theme park attractions. It was even working on a health device until it got put on hold. I'm not saying every single one of Nintendo's ideas before the Wii U was completely original, but you can see a shift in behaviour: it's no longer ignoring the noise and has started looking more intently outside of its own walls. Smartphones. Health and fitness. Toys-to-life. Is virtual reality next? Under the steer of Kimishima, I think it's incredibly likely. I'm sure the NX will present some interesting ideas of its own, but Nintendo has been burned badly with the Wii U. One of its biggest mistakes was losing third-party support - because however great Nintendo's exclusives are, it needs other developers to plug the gaps in between. Look at the Wii U's 2016 launch lineup and you see my point. Virtual reality is where everyone is moving, and it'll be interesting if Nintendo - the one company I thought would ignore the hype - ends up jumping on the bandwagon. I think it could be completely fine without VR, but I'm no longer sure it's confident enough to bet against it.